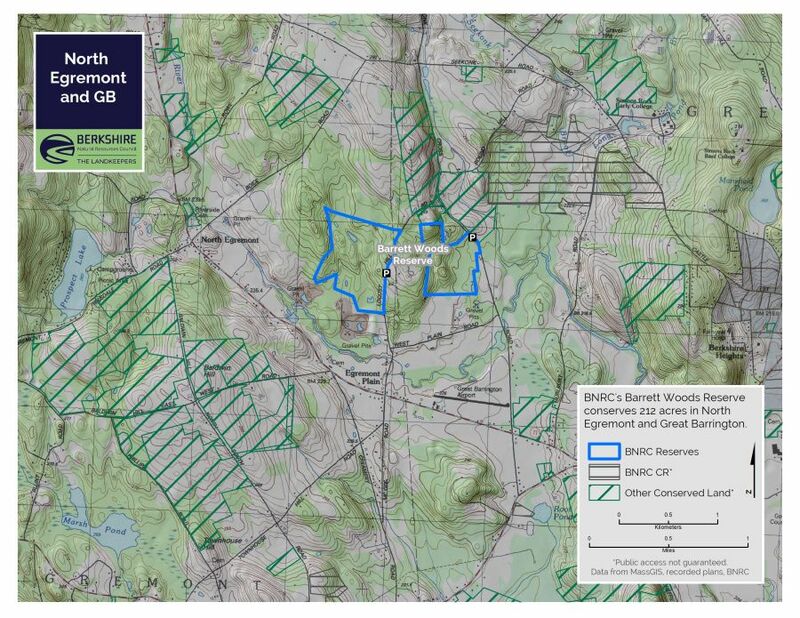 Lovely wetlands and vernal pools highlight these paired properties in Egremont & Great Barrington. An excellent spot for peepers and other spring wildlife viewing. Hiking difficulty: Expert — unmarked yet walkable wood roads crisscross both properties. 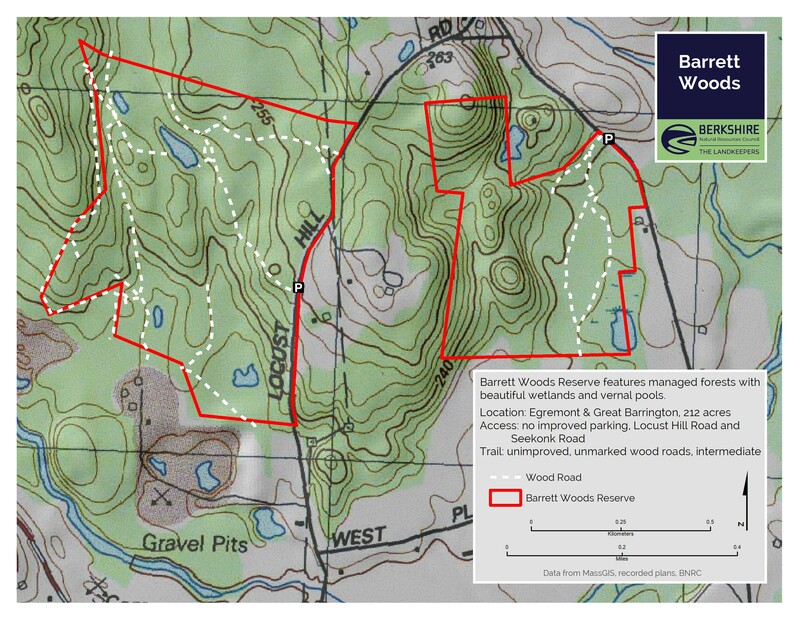 The best access for the western parcel is 0.8 miles from the intersection of Egremont Plain and Pumpkin Hollow Roads. Park at the BNRC road opposite the driveway for 49 Locust Hill Road, Great Barrington (which driveway is located on Pumpkin Hollow Road, Egremont). You may park out of the way at the head of BNRC’s road on the west side of Pumpkin Hollow Road. See the map for clarity. 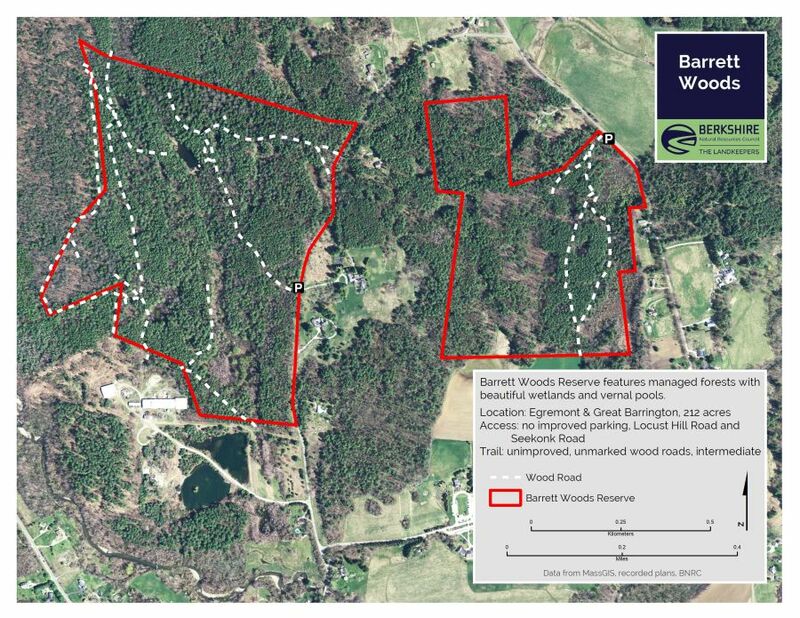 Unmarked wood roads give the explorer access to ecologically rich vernal pools and wetlands. Bird watching and nature study are the attraction. Bring a field guide, a camera or even a sketchbook.